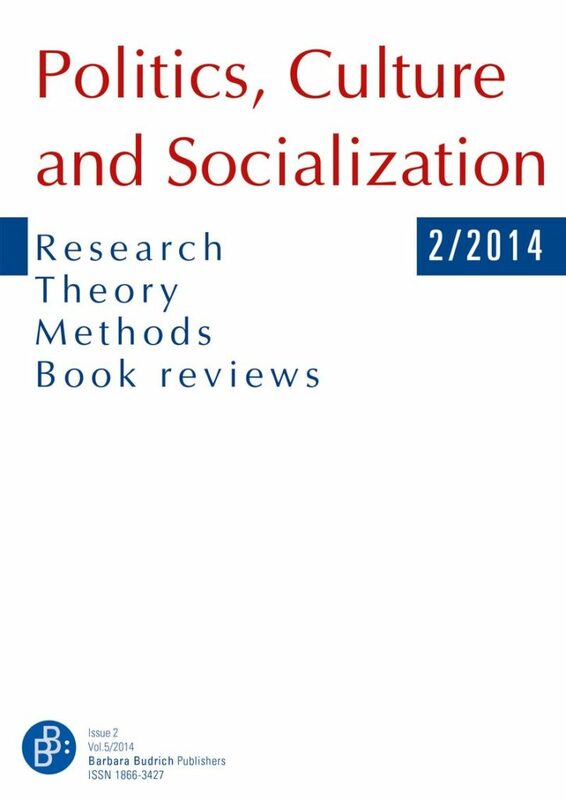 Politics, Culture and Socialization publishes new and significant work in all areas of political socialization in order to achieve a better scientific understanding of the origins of political behaviors and orientations of individuals and groups. Political socialization theory and research focus on processes by and structures through which individuals become or do not become politically active and acquire or do not acquire general political knowledge, and particular political beliefs, opinions, attitudes, emotions, values and behavioral intentions. The focus of attention is on political socialization processes – including political education, information, persuasion, marketing, or propaganda and their underlying and accompanying motivations – and political socialization structures – including the family, school, mass media, peer groups, social networks, and politics. Politics, Culture and Socialization publishes new and significant contributions that report on current scientific research, discuss theory and methodology, or review relevant literature. It welcomes the following types of contributions on topics which fall within its aim and scope (a) empirical research articles, (b) theoretical articles which analyze or comment on established theory or present theoretical innovations, (c) methodological articles, (d) book reviews.